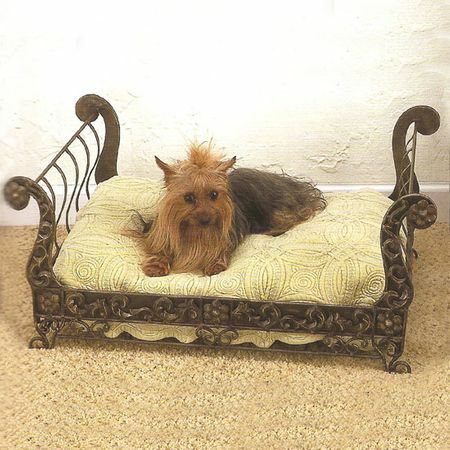 Vintage details and Old World charm give this pet bed a comfortable, timeless feel. 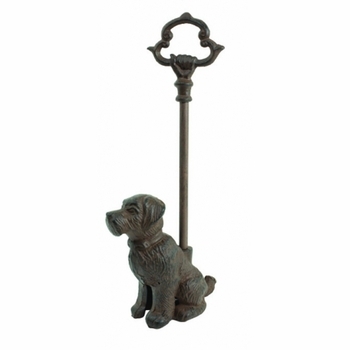 Old world charm befits the royal pet in your household. Iron dog bed frame with a faux antiqued brass finish and tole ornamentation. Pet Lounger is a scaled down version of our Brayton Daybed and holds a queen size pillow (not included); assembly required.